Twitch Streamer Shroud Dating his Girlfriend; Will they get Married? The world constantly changes every second. The future is unwritten and anyone can make history if followed the path simultaneously. The advancement in technology and gaming has not only satisfied today's modern world desire but also has carried some of the addictive gamers to the fame. Similar is the case of Michael Grzesiek aka Shroud whose name has covered to every virtual gaming admirers all over the world. Despite the fact that he has outnumbered any other gamer's fan following, enthusiasm arises about his marital relationship. Have he thought about taking his relationship with his partner till the end or are they planning to surprise their fans by getting married soon? Let's find out! 24 Year Canadian Twitch Streamer Shroud Getting Married With His Girlfriend Jessica; When's The Big Day? Shroud’s girlfriend, Jessica Rago is an Esports Marketing Manager at HyperX and also a streamer who’s active by the name Dachhei. However, still energetic Shroud hasn't married yet and seems to have a quality of personal time with his future wife, Jessica. The duo lives in Orange County, California and it isn’t certain if they live together. However, the duo seems to have a similar kind of choices. Each one of them loves and own a dog which proves they are meant for one another. Jessica has also shared pictures of both along with other CS: GO Pro member during the Dreamhack Las Vegas in March 2017, as well as on several other hangouts. In the YouTube video titled, 'Shroud Gets Beat By His Girlfriend - Story Time LUL,' uploaded by TwitchStreams on 28 December 2017, Shroud talks about his love-life with his friend while streaming a PUBG game. My girlfriend 'fuc**ng' beats me up and kicks me three times a night. His streamer friend chatted with him and said that the duo abuses each other, and they are domestic abusers. 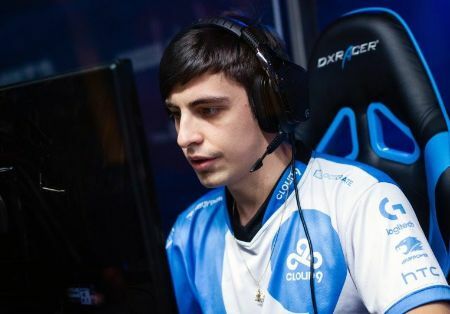 When his friend labeled him as the 'woman beater,' Shroud stated that it's Jessica who beats him up, not him. Recommended: Youtube star Michelle Phan and her partner Dominique Capraro in a relationship? Regardless of their quarrels in a small matter, it clearly shows up how concerned they are about the relationship as small fights keep hindering the true love. Well, looks like this birds are going to have a long lasting relationship as it seems they are happy together and their timely post in various social media further builds their relationship. Be that as it may, we wish a happy endeavor throughout the life of these two energetic couples. 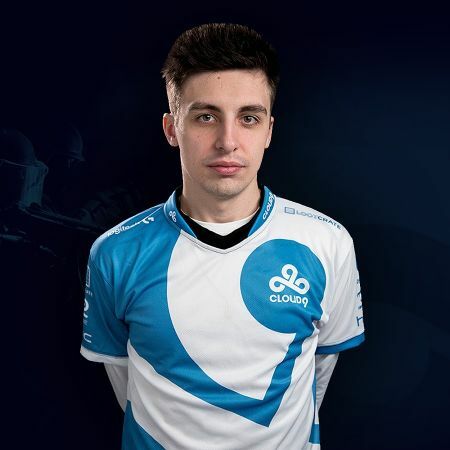 Mostly known for his clutching, lurking ability, and weapon accuracy, Shroud was in Manajuma before he was acquired as a stand-in by compLexity Gaming. Although Shroud has been on the game since 2013, his achievements as a video game player count from 2015-2017, based on the numerous tournaments he has participated in. After the American esports club was acquired by Cloud9 on August 1, 2014, he was signed as a permanent player where he was the second longest standing member of the team. Participating in various tournaments he has gathered a good fortune. ESL ESEA Pro League Season 1 – North America (June 22, 2015) of which he emerged 1st place and took home $18,000 in prize money; ESL Pro League Season 4 – Finals (October 30, 2016) where he finished 1st place to win $200,000; and Esports Championship Series Season 3 – Finals. In all, the streamer has competed in 10 tournaments and has earned a total $613,000 in prize money. With all these economic upliftment of this virtual gaming star, he announced to retire from Cloud9 on August 16, 2017, but would remain a backup player on the bench with one of his teammate. The following year, precisely on April 18, 2018, he retired from playing CS: GO entirely to explore new opportunities. He participated in PlayerUnknown’s Battlegrounds “Twitch Rivals” tournament, with his duo team and won the second place to earn the prize money of $5,450. Today, the Canadian Twitch Streamer is busy creating videos on different online games like PlayerUnknown's Battlegrounds, Call of Duty Blackout, Fortnite and so on. Sources reported that top streamers Shroud and Dr. Disrespect are involved in the game's launch, operating two of the most popular battle royale channels on Twitch. Born on June 2, 1994, as Michael Grzesiek, in Ontario, Canada. He is among the most popular players whose active streaming is pulling in thousands of viewers. He has a YouTube channel which has over 2.7 million subscribers. His self-titled Twitch account has grown famous with more than 4.3 million followers and over 207 million total views across the globe. The Twitch Streamer’s height is estimated at 5 feet 6 inches (168cm). Shroud’s former name on Twitch was mEclipse but he later changed to ‘Shroud’ due to its close synonym to eclipse. Shroud’s net worth is estimated at $2 million.